Sortimo by Knapheide is a strategic partnership between Sortimo International, a global leader in mobile racking products and The Knapheide Manufacturing Company, the nation’s leading provider of commercial vehicle solutions. 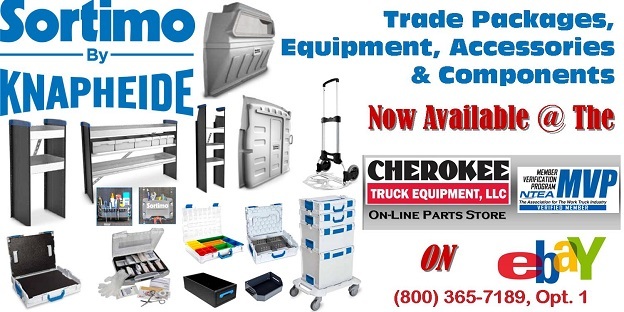 This partnership is focused on storage systems especially for commercial vans. Since 1848, Knapheide has provided its customers with high quality, work-ready transportation solutions. The Knapheide family has owned and operated the company since its beginning over 168 years ago. Today, The Knapheide Manufacturing Company is the nation’s leading manufacturer and provider of commercial vehicle solutions. Knapheide’s main manufacturing facility is located in Quincy, Illinois and is over 480,000 square feet. This facility is highly automated and has the most technologically advanced equipment and processes in the industry. 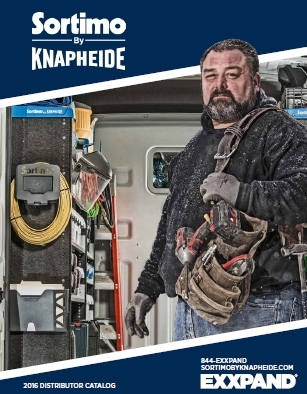 Products manufactured by Knapheide include: Service Bodies, KUV Bodies, Platform Bodies, Gooseneck Bodies, Dump Bodies, Forestry Bodies, Pick Up Accessories, Mechanics Trucks, Water Trucks, and Fuel/Lube Trucks. Knapheide’s vast distribution system includes 200+ distributors strategically located throughout North America. The ability to evolve into new technology, processes, and products has made Knapheide the leader in the industry and allowed the company to move into new markets to better serve our distributors, fleet customers, and end users. Headquartered in Zusmarshausen, Germany, Sortimo International has more than 40 years of experience in the in-vehicle equipment industry. Located in Bavaria, Sortimo International offers van racking solutions for all light commercial vehicles and has become a leader in van racking solutions of the automotive industry regarding organization, safety, and future-oriented concepts. Sortimo International works with materials of the highest quality that are extremely resilient and long lasting. Well thought out ergonomics and the best level of passive safety are further factors which distinguish Sortimo products. With strength in innovation, Sortimo International has a solid position in the market and is a technological leader in van storage solutions.